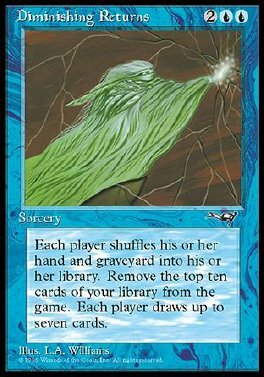 Each player shuffles his or her hand and graveyard into his or her library. You remove the top ten cards of your library from the game. Then each player draws up to seven cards.